The NYC Facade Inspection Safety Program (FISP), formerly known as Local Law 11, requires NYC buildings taller than six stories to have their facades inspected and repaired every five years. 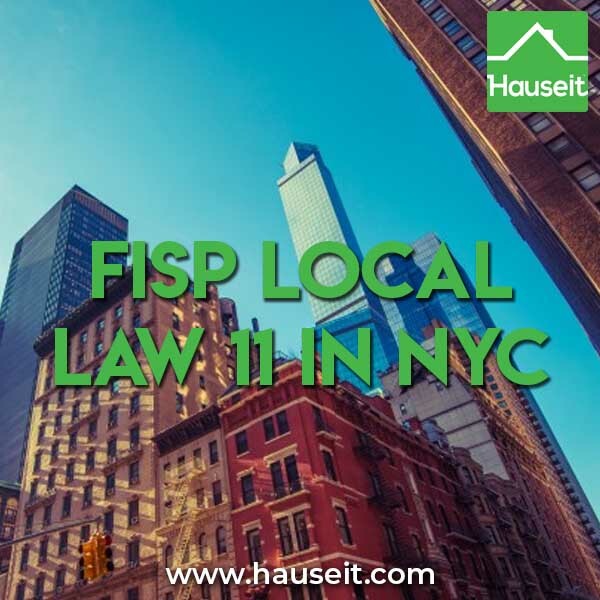 In this article, we discuss the history of FISP and explain how Local Law 11 affects you as a buyer of New York City real estate. What is Local Law 11? When do FISP / Local Law 11 inspections occur? What is the difference between Local Law 11 and Local Law 10? How does FISP / Local Law 11 affect me as a NYC home buyer? What happens during a FISP / Local Law 11 inspection? What is the Local Law 11 Cycle 8 schedule? What is the text of FISP / Local Law 11? FISP, formerly known as Local Law 11, requires that owners of buildings taller than six stories have exterior walls and appurtenances inspected every five years. Upon completion of the inspection, a building is required to file a technical report with the department of buildings classifying façade elements as either safe, safe with a repair and maintenance program, or unsafe. Unsafe façade elements must be addressed immediately and repaired with 30 days. FISP is designed to ensure pedestrian safety by prevent bricks, concrete and other façade elements from falling on pedestrians. There are over 12,000 buildings in NYC which are subject to the inspection protocol of FISP. The current FISP inspection cycle (Cycle 8) runs from February 21, 2015 through February 21, 2019. The detailed FISP inspection, reporting and action requirements are contained in RCNY (Rules of the City of New York) 103-04: Periodic Inspection of Exterior Walls and Appurtenances of Buildings. Local Law 11 of 1998, also known as the Façade Inspection Safety Program (FISP), mandates the periodic inspection of the exterior walls and appurtenances (such as balconies) of buildings greater than six stories in height in New York City. Local Law 11 was an update to Local Law 10, which was the original measure passed by the Mayor’s office to address pedestrian safety. An inspection typically occurs once every five years, and it must be conducted by a New York State Registered Architect (RA) or NYS Licensed Professional Engineer (PE) with at least one year of relevant experience. The inspector is called a QEWI, or a Qualified Exterior Wall Inspector. If any unsafe conditions are discovered, the architect or engineer must immediately notify in writing the building owner and the Department of Buildings. Once the inspection is complete, the architect or engineer is required to file a report of critical examination with the City’s Department of Buildings on the condition of the building’s facade. In the report, the architect or engineer must document the condition of the exterior walls and appurtenances as either safe, unsafe or safe with a repair and maintenance program. Buildings are required to report all unsafe conditions immediately and repair them within 30 days. Local Law 11 inspection deadlines are divided into sub-cycles A,B, and C which are determined by the last digit of a building’s block number. You can look-up a building’s block here. Local Law 10, passed by Mayor Ed Koch in 1980 as an amendment to the city’s Building Code, was the first city ordinance designed to address and prevent the safety risks posed by the deterioration of building facades in the city. The ordinance was passed after Grace Gold, a Barnard College freshman, was killed by a falling piece of terra cotta masonry on the Upper West Side (115th and Broadway). Local Law 10 was subsequently replaced and broadened by Local Law 11 in 1998 and FISP in recent years to further enhance safety and the overall effectiveness of the façade repair program. Local Law 11 was passed by Mayor Giuliani in 1998 as an update and expansion to Local Law 10. Local law 11 set much stricter requirements as to what needed to be inspected and the rigorousness of the inspections themselves. A number of public safety events led to the passage of Local Law 11. In 1997, there was a partial building collapse on Madison Avenue. The collapse took down part of the front of the building, which led the city to believe that it was not sufficient just to inspect the street facing facades. Whereas previously only the front façade and side walls up to 25 feet from the street required an inspection, Local Law 11 mandated the inspection of all four sides of a building. The only exception was for walls which are 12” or less from a neighboring building. In addition, Local Law 11 also mandated a physical inspection from scaffolding as opposed to visual ‘binocular’ inspection from afar which were permissible under Local Law 10. Local Law 11 also amended the report classifications from simply “pass” or “fail” to “safe,” “unsafe,” or “safe with a repair and maintenance program.” This was designed to ensure that buildings which required a repair and maintenance program (and which may not be safe by the time of the next inspection) would be addressed in a timely manner. As a NYC home buyer, you should have your buyer’s agent inquire as to the status of the building’s FISP compliance. FISP inspections can be very expensive and time consuming. In addition, inspections may bring to light other repair work which the building may need to complete. NYC presents buildings with a unique combination of environmental threats including winter freeze/thaw cycles, air pollution and salt which means that facade decay of your building is a reality of owning an apartment in NYC. If the condo, condop or co-op you are buying into does not have sufficient reserves to pay for repairs, they may need to seek a loan, refinance or levy an assessment on unit owners. Determining the status of your building’s Local Law 11 compliance isn’t the only reason to consider working with a buyer’s agent in NYC. 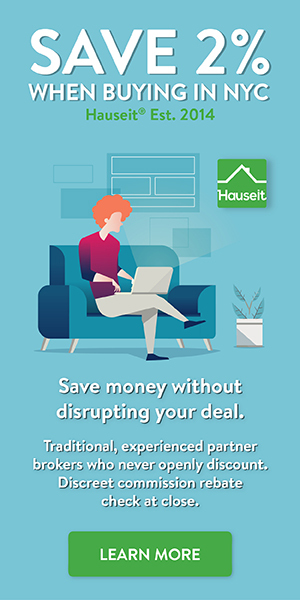 By hiring a buyer’s broker and requesting a NYC buyer agent commission rebate, you can actually reduce your buyer closing costs and save thousands on your purchase. Real estate commission rebates in NYC are completely legal and generally considered to be tax-free, meaning that they will reduce the cost of your purchase dollar for dollar. If your purchase happens to be above $1 million, the rebate you receive will most likely pay for the 1% NYC mansion tax. A seasoned buyer’s agent in NYC can also increase your chances of a successful deal by helping you assemble offer documentation, prepare a polished co-op board package, coaching you for your board interview, allowing you to avoid the risks of dual agency. Façade inspections, also known as critical examinations, may only be permitted by a Qualified Exterior Wall Inspector (QEWI). QEWIs are either NY State Registered Architects (RA) or NYS Licensed Professional Engineers (PE) who have at least one year of relevant experience. The inspection requires a physical examination to be undertaken from scaffolding or some other form of observation platform. If a facade is determined to be safe, no façade work is required during the cycle. Facades designated as ‘SWARMP’ have the potential to become unsafe, however no immediate action is required. In the technical report, the QEWI must offer a specific month and year by when the condition must be rectified. A facade may not be classified as “SWARMP” for two consecutive filing cycles. If a facade was classified as SWARMP in the previous cycle and not yet repaired, it must be reported in the next cycle as an unsafe condition. Unsafe conditions must be reported to the DOB immediately and rectified within 30 days. In the meantime, the building must immediately install public safety measures such as a construction fence or a sidewalk shed. If the repairs take longer than 30 days, the commissioner has the authority to grant 90 day extensions if certain conditions are met. Local Law 11 (FISP) Cycle 8 began on February 21, 2015 and runs through February 21, 2020. Cycle 8 is divided into three, two-year sub cycles. Your building’s particular sub-cycle filing deadline depends on the last digit of your block number on file with NYC. Appurtenances are defined as “exterior fixtures, flagpoles, signs, parapets, copings, guard rails, window frames, balcony enclosures, window guards, window air conditioners, flower boxes and any equipment attached to or protruding from the facade” (RCNY §103-04). FISP Cycle 8 also mandates the inspection of balcony railings in the wake of a 2013 fatality involving a woman who fell to her death on the Upper East Side after her balcony railing gave way. 103-04 Periodic Inspection of Exterior Walls and Appurtenances of Buildings. Acceptable report. A technical examination report filed by a Qualified Exterior Wall Inspector that meets the requirements of the Administrative Code and this rule as determined by the Department. Amended report. A technical examination report filed by a Qualified Exterior Wall Inspector who certifies that the unsafe conditions reported in the initial report have been repaired and that no unsafe conditions exist at the building. Critical examination. An examination conducted to review the exterior of a building and all parts thereof to determine whether the exterior walls (facades) and the appurtenances thereto are either safe, unsafe, or safe with a repair and maintenance program and whether, in the judgment of a Qualified Exterior Wall Inspector, they require remedial work. Filed report. A report shall be deemed filed with the Department when it has been received by the Department. The filed report shall be completed in accordance with the provisions of paragraph (3) of subdivision (b) of this section. Filing window. The two-year period during which a report for a particular building may be filed without penalty. Qualified Exterior Wall Inspector (hereinafter “QEWI”). A qualified exterior wall inspector as defined in section 101-07 of the rules of the department. Report filing cycle. The five-year time interval established by the Commissioner for the filing of each successive report for each successive critical examination of every building subject to the requirements of Article 302 of Title 28 of the Administrative Code. Safe. A condition of a building wall, any appurtenances thereto or any part thereof not requiring repair or maintenance to sustain the structural integrity of the exterior of the building and that will not become unsafe during the next five years. Safe with a repair and maintenance program (hereinafter “SWARMP”). A condition of a building wall, any appurtenances thereto or any part thereof that is safe at the time of inspection, but requires repairs or maintenance during the next five years in order to prevent its deterioration into an unsafe condition during that five-year period. Staggered inspection cycle. The separate time intervals for filing reports of critical examinations as determined by the last digit of the building’s block number, beginning February 21, 2010, and continuing thereafter for each subsequent report filing cycle. Subsequent report. A technical examination report that is filed by a QEWI after an acceptable report in order to change the status of the building for that report filing cycle to reflect changed conditions. Unsafe condition. A condition of a building wall, any appurtenances thereto, or any part thereof that is hazardous to persons or property and requires prompt repair. In addition, any condition that was reported as SWARMP in a previous report and that is not corrected at the time of the current inspection shall be reported as an unsafe condition. 1. Periodic inspection requirements. In order to maintain a building’s exterior walls and appurtenances thereto in a safe condition, and in accordance with Article 302 of Title 28 of the Administrative Code, a critical examination of all parts of all exterior walls and any appurtenances thereto of all existing buildings greater than six stories in height or buildings hereafter erected that are greater than six stories in height, except for those parts of any exterior wall that are less than twelve inches (305 millimeters) from the exterior wall of an adjacent building, shall be conducted at periodic intervals. Before any exterior wall for any building is critically examined, the QEWI retained by or on behalf of the owner of the building shall carefully review the most recent report and any available previous reports. The Department will maintain a file of such reports submitted in conformance with the law in effect prior to July 1, 2008 and with Article 302 of Title 28 of the New York City Administrative Code, and furnish copies upon payment of fees set forth in the rules of the Department. Such examination shall be conducted and witnessed by or under the direct supervision of a QEWI retained by the owner of the building or his or her representative. The QEWI shall design an inspection program for the specific building to be inspected which shall include, but not be limited to, the methods to be employed in the examination. The inspection program shall be based on the considerations of the type of construction of the building’s envelope, age of the material components, the façade’s specific exposure to environmental conditions and the presence of specific details and appurtenances. Consideration shall be given to the façade’s history of maintenance and repairs as described in previous reports and submittals to the department. Except as provided in subparagraph (viii) of paragraph (2) of this subdivision, the QEWI need not be physically present at the location when the examination is made. Architects, engineers, tradesmen and technicians, working under the QEWI’s direct supervision, may be delegated to perform selected inspection tasks only when they are employees or subcontractors of the QEWI. The methods used to examine the building shall permit a complete inspection of same. Except as herein required, the use of a scaffold or other observation platform is preferred, but the QEWI may use other methods of inspection as he/she deems appropriate. A physical examination from a scaffold or other observation platform (a “close-up inspection”) is required for a representative sample of the exterior wall. The QEWI shall determine what constitutes a representative sample. The representative sample shall include at least one physical examination along a path from grade to top of an exterior wall on a street front using at least one scaffold drop or other observation platform configuration, including all setbacks. The known history of the building, the nature of the materials used and the conditions observed will dictate the extent of the critical examination. The QEWI shall utilize a professional standard of care to assess the building’s condition, including splitting or fracturing of terra cotta on buildings, cracking of masonry and brick work in brick faced buildings, loosening of metal anchors and supports, water entry, movement of lintel angles, and shall ascertain the cause of these and such other conditions detected. The QEWI shall order any special or additional inspections and/or tests that may be required to support investigations and to determine the causes of any defects. The removal of portions of the façade in order to facilitate the performance of tests may require a permit from the Landmarks Preservation Commission. During the course of the critical examination, photographs shall be taken and/or sketches made to properly document the location of all conditions observed that are either unsafe or SWARMP. Upon discovery of any unsafe condition, the QEWI shall immediately notify the Department and the owner of the building by letter or fax, in a form and manner as provided by the Department. Completion of a critical examination shall mean that the QEWI has conducted a final physical inspection to determine that the building conditions as described in the report are consistent with the actual conditions. Such final inspection shall, at a minimum, include an actual visual examination and a walk around with binoculars or other inspectorial equipment. A drive-by inspection is not acceptable. The QEWI shall file with the Department and submit a copy to the owner of the building a written report describing the result of the critical examination, clearly documenting all conditions noted during the inspection and stating that the inspection was performed and completed in accordance with the Administrative Code and this rule. A separate acceptable report must be prepared and filed for each building, even if it shares a Block and Lot number with other structures. Technical information in the report shall adhere to and follow the sequence and the labeling of the report requirements as listed in subparagraph (iii) of this paragraph, and shall be provided on such forms and in such format as the Department shall require. Additional information may be provided. All letters (A – O) shall be listed in the report. If a requirement is not applicable, this shall be indicated on the report under the relevant letter. G. A description and classification of each significant condition observed including deterioration and any movement detected and the apparent water-tightness of the exterior surfaces. The description must also include a list of all the exterior appurtenances and their condition. Appurtenances include, but are not limited to, exterior fixtures, flagpoles, signs, parapets, railings, copings, guard rails, window frames (including hardware and lights), balcony enclosures, window guards, window air conditioners, flower boxes and any equipment attached to or protruding from the façade. Each condition must be classified as safe, unsafe or SWARMP. If the building is classified as unsafe or SWARMP, the report must include the locations and descriptions of all unsafe or SWARMP conditions. Balcony railings must be inspected to ensure that their components (balusters, intermediate railings and panel fillers) are positively secured against upward movement (e.g. by welds, bolts or screws). If any balcony enclosure is found not to be positively secured, the condition is classified as unsafe and must be made safe pursuant to the requirements of paragraph (5) of subdivision (b) of this section. In the event a cycle seven report has already been filed with the Department pursuant to paragraph (4) of this subdivision, a separate report regarding the condition of the balcony enclosures must be filed within cycle seven. H. An analysis of the causes of the conditions reported as unsafe or SWARMP. 2. Time frames of less than one (1) year, “ASAP,” or “immediately,” shall not be accepted. 1. Color photographs of the primary house number and at least one view of the entire street front elevation for all reports regardless of the building’s filing condition, and color photographs and sketches documenting any conditions that are either unsafe or SWARMP and their locations. Photographs shall be at least 3” x 5” (76mm x 127mm) in size, unless otherwise requested by the Department. The photographs shall be dated and both the original photographs and all required copies shall be in color. 2. The page/sheet size for attachments shall not exceed 11” x 17” (280mm x 430mm). 2. If there is at least one unsafe condition, then the building shall be classified as unsafe. O. The seal and signature of the QEWI under whose direct supervision the critical examination was performed. The requirements of this rule shall apply to all buildings with exterior walls or parts thereof that are greater than six stories in height, including the basement, but not the cellar, as defined in the building code, and regardless of the information in the Certificate of Occupancy. For buildings constructed on sloped sites that contain six (6) full stories plus one partial story where more than half the height of that partial story is above existing grade and/or adjacent to open areas (e.g., areaways, yards, ramps), the wall containing that partial story shall be subject to façade inspection. Conditions requiring façade inspections may also include other structures that add to the height of the building as per section BC 504. The Commissioner shall determine which additional buildings and/or parts thereof are required to file in accordance with this rule. Buildings required to file a report shall do so once during each five-year report filing cycle established by the Department. The next complete report filing cycle, cycle seven, runs from February 21, 2010 to February 20, 2015. C. twelve months for buildings that meet the requirements of item (C) of subparagraph (v) of this paragraph. The report shall be submitted to the Department along with a filing fee as specified in the rules of the Department. A. For buildings located within a block ending with the number four (4), five (5), six (6), or nine (9), an acceptable report shall be filed within the filing window starting February 21, 2010 and ending February 21, 2012. B. For buildings located within a block ending with the number zero (0), seven (7), or eight (8), an acceptable report shall be filed within the filing window starting February 21, 2011 and ending August 21, 2012. C. For buildings located within a block ending with the number one (1), two (2), or three (3), an acceptable report shall be filed within the filing window starting February 21, 2012 and ending February 21, 2013. A. For buildings located within a block ending with the number four (4), five (5), six (6), or nine (9), an acceptable report shall be filed within the two-year filing window starting February 21 of years ending in zero (0) and five (5) and ending February 21 of years ending in two (2) and seven (7). B. For buildings located within a block ending with the number zero (0), seven (7), or eight (8), an acceptable report shall be filed within the two- year filing window starting February 21 of years ending in one (1) and six (6) and ending February 21 of years ending in three (3) and eight (8). B. If five years from the date the first Temporary Certificate of Occupancy or Certificate of Occupancy was issued falls outside the applicable filing window according to the last digit of the building’s block number as provided in subparagraph (v) or (vi) of this paragraph, then the initial report shall be filed within the applicable two-year filing window for the next five-year cycle. B. The owner or his or her representative may choose one of the applicable filing windows and file a report for all of the buildings within that filing window, regardless of that building’s individual filing window. The owner or his or her representative shall inform the Department 180 days prior to the end of the assigned filing window if this option is chosen. If an owner or representative chooses this option, the owner or representative shall continue to file under this same filing window for the duration of the owner’s ownership of the property. A report shall be filed within sixty (60) days of the date on which the QEWI completed the critical examination (final inspection date), as defined in subparagraph (viii) of paragraph (2) of subdivision (b) of this section. Failure to file a report within sixty (60) days of the completed critical examination requires a new critical examination. A report may not be filed more than one (1) year after completion of the close-up inspection. If the report is not acceptable and is rejected by the Department, a revised report must be filed within forty-five (45) days of the date of the Department’s rejection. If the report is not acceptable after two (2) rejections, a new initial filing fee as specified in the rules of the department is required. Failure to submit a revised report addressing the Department’s objections within one (1) year of the initial filing requires a new critical examination, including a new close-up inspection. A subsequent report indicating revised conditions may be filed within a five-year report filing cycle to change a building’s filing status for that cycle. The Department retains the right to destroy any copy of reports not picked up by the owner within thirty (30) days after the date of its acceptance or rejection by the Department. Upon filing a report of an unsafe condition with the Department, the owner of the building, his or her agent, or the person in charge of the building shall immediately commence such repairs or reinforcements and any other appropriate measures such as erecting sidewalk sheds, fences, and safety netting as may be required to secure the safety of the public and to make the building’s walls and appurtenances thereto conform to the provisions of the Administrative Code. All unsafe conditions shall be corrected within thirty (30) days from the submission of the critical examination report. Within two weeks after repairs to correct the unsafe condition have been completed, the QEWI shall inspect the premises. The QEWI shall obtain permit sign-offs as appropriate and shall promptly file with the Department a detailed amended report stating the revised report status of the building, along with a filing fee as specified in the rules of the Department. If the report is not acceptable and is rejected by the Department, a revised report must be filed within forty-five (45) days of the date of the Department’s rejection. If the report is not acceptable after two (2) rejections, a new amended filing fee as specified in the rules of the department is required. Sheds or other protective measures shall remain in place until an amended report is accepted; however, the QEWI may request permission for the removal of the shed upon submission of a signed and sealed statement certifying that an inspection was conducted, the conditions were corrected and the shed is no longer required. Permission to remove the shed may be granted in the Commissioner’s sole discretion. G. a fee as specified in the rules of the Department. Note: Financial considerations shall not be accepted as a reason for granting an extension. C. The nature of the hazard that requires more than ninety (90) days to remedy (e.g., new wall to be built). Note: Financial considerationows shall not be accepted as a reason for granting an extension. 6. Conditions that are safe with a repair and maintenance program. The owner of the building is responsible for ensuring that the conditions described in the critical examination report as SWARMP are repaired and all actions recommended by the QEWI are completed within the time frame recommended by the QEWI, and are not left to deteriorate into unsafe conditions before the next critical examination. It is the owner’s responsibility to notify the Department of any deviation from the timeframe to make corrections as specified in QEWI’s report. Such notification shall be accompanied by supporting documents from the QEWI justifying the request for a new time frame. The department may approve or disapprove such request. A report may not be filed describing the same condition and pertaining to the same location on the building as SWARMP for two consecutive report filing cycles. The QEWI shall certify the correction of each condition reported as requiring repair in the previous report filing cycle, or report conditions that were reported as SWARMP in the previous report filing cycle as unsafe if not corrected at the time of the current inspection. Failure to file. An owner who fails to file the required acceptable inspection report shall be liable for a civil penalty of one thousand dollars ($1,000) per year immediately after the end of the applicable filing window. Late filing. In addition to the penalty for failure to file, an owner who submits a late filing shall be liable for a civil penalty of two hundred fifty dollars ($250.00) per month, commencing on the day following the filing deadline of the assigned filing window period and ending on the filing date of an acceptable initial report. In addition to the penalties provided in this section, an owner who fails to correct an unsafe condition shall be liable for a civil penalty of one thousand dollars ($1,000) per month, pro-rated daily, until the unsafe condition is corrected, unless the commissioner grants an extension of time to complete repairs pursuant to this section. This penalty shall be imposed until receipt of an acceptable amended report by the department indicating the unsafe conditions were corrected or an extension of time is granted. An owner may challenge the imposition of any civil penalty authorized to be imposed pursuant to this subdivision by providing proof of compliance. Examples of such proof shall include, but are not limited to, a copy of an acceptable initial report, a copy of the acceptable amended report, copies of approved extension of time requests while work was/is in progress or written proof from a QEWI that the unsafe conditions observed at the building were corrected and the violation was dismissed. Challenges shall be made in writing within thirty (30) days from the date of service of the violation by the department and send to the office/unit of the department that issued the violation. The decision to dismiss of uphold the penalty shall be at the sole discretion of the department. (d) Penalty waivers; eligibility and evidentiary requirements. B. the new owner took title of the property as part of an economic development program sponsored by a government agency. ii. A new owner of a government-owned property requesting a waiver due to change in ownership shall submit official documentation from the government entity affirming that the premises was entirely owned by the government entity during the period for which a waiver is requested. (2) Building status. An owner requesting a waiver because the building was demolished shall submit city or departmental records evidencing the demolition of the building prior to the filing deadline. Condo Questionnaire – What is a Condo Questionnaire in NYC?